Members of the Brooklyn Social Club– a group of writers, photographers, designers, and other creators who archive and publish documents related to historic Williamsburg– have collected photos from the Williamsburg of the 1990s and assembled them into a book, I Can Be Pretty Too. It’ll be released this Friday at Side Show Gallery on Bedford Avenue, where an accompanying exhibit will be on display March 29 through 31. The aim of I Can Be Pretty Too is to record this pre-Y2K history of Williamsburg and, especially, the people who made up the neighborhood. “This book focuses on the faces, fashions, and ambitions of young people who made their own style rather than followed the trends,” writes Damian Bielak, who co-founded Brooklyn Social Club with his twin brother Dominic. Damian’s work is featured in the book along with that of photographer Terrence Miller. The origins of I Can Be Pretty Too were almost accidental. Dominic Bielak was spending time helping Miller clean out his home, when they realized the extraordinary number of photographs he had of 1990s Williamsburg. Miller moved to the neighborhood in 1994, when he was 22, and began photographing people to get to know them. The photographs brought up feelings of nostalgia for Bielak, who grew up in Williamsburg, and they decided to turn them into a project. The Brooklyn Social Club’s Instagram account already features many of the photographs that will be recorded in I Can Be Pretty Too. There’s a boy skateboarding down South 4th Street in 1998, teens outside a grocery store on Bedford Avenue in 1997, and a young woman in plaid pants walking down Driggs Avenue in 1998. Photographs showcased in the club’s archive hint at what else I Can Be Pretty Too may include. A photograph from 1991 shows a car parked at the Brooklyn Waterfront near Kent Avenue and North 7th Street. Another from 1996 takes in the Williamsburg Bridge. 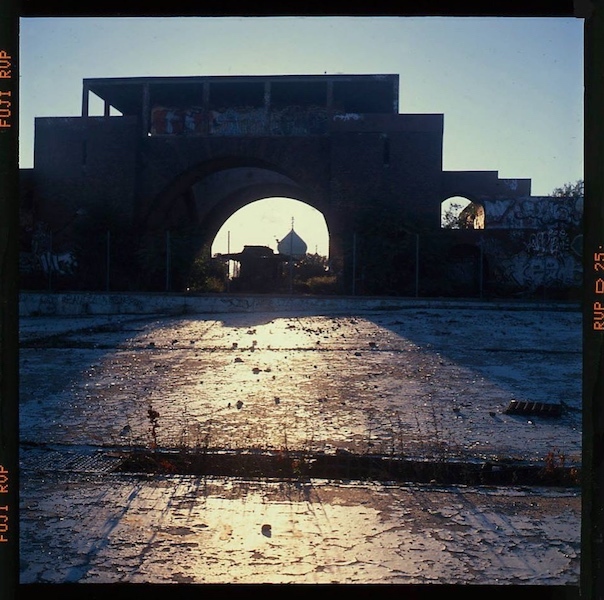 The photographs feature monuments long gone, including the Twin Towers and Millie’s Place on Grand Avenue, and still standing, like the pedestrian ramp over the Williamsburg Bridge and the Empire State Building. Dominic Bielak says that the images remind him of his childhood, but also how desolate Williamsburg was for a few years after factories and companies moved out of the area. Bielak understands why Miller was drawn to people so much in his photographs; they filled the loneliness of moving to a neighborhood that industry had left.